While all of glutamine's actions are important, its presence and role in the repair and building of muscle tissue is what turns weightlifters, bodybuilders, and similar endurance athletes on to it. When exertion is placed on the muscles, the muscle tissues lose energy, and subsequently glutamine. In fact, it is estimated that glutamine levels are depleted by as much as 50% during an intense workout or sporting event. By supplementing through dietary intake, muscles are supplied with more of the amino acid and are better equipped to replenish the lost stores. This allows for an adequate refill to an otherwise empty tank. In this manner, there is less muscle deterioration because other tissues that require glutamine will not be robbed of its stored amount. This cellular fuel is what drives the muscle tissues to repair and build quicker. There are two speculations as to the effect of this amino acid on body weight. The first theory is related to its action on muscle mass. It is well known that the more muscle tissue a person has, the higher his or her metabolic rate. A higher metabolism equates to the usage of more calories even at rest. Hence, a person who is losing weight is at an advantage when he or she retains muscle weight and loses only fat tissue. This supplement may help with maintaining muscle. The second theory is that glutamine may reduce carbohydrate cravings. This thought stemmed out of the fact that it has shown a significant effect on alcohol cravings when treating alcoholism. There have been no studies conducted on the carbohydate link, but many supplement companies promote it as a souce of lowering carbohydrate cravings. 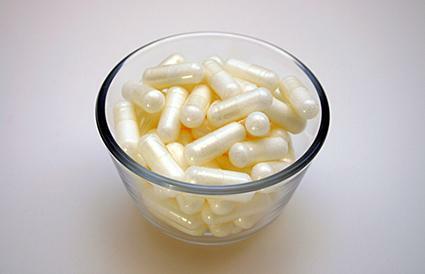 It is important to note that glutamine is not classified as an appetite suppressant or fat burner, such as hoodia, green tea, or other diet pills. The experience of any such results is solely an individual one at this time until further studies are conducted. As mentioned, glutamine is commonly utilized to replenish energy when compromised immune systems are present, such as the case of infection, including HIV, and cancer treatments. It can also assist elderly patients with restoring considerably low protein stores and during times of injury and sickness. Due to its role in muscle tissue refurbishing, the amino acid alleviates muscle cramps and pain after extreme exertion or physical trauma. It is often recommended for individuals that have recently completed a fasting diet, whether for dietary reasons or religious reasons. There is evidence that adequate levels help produce growth hormone, a necessary regulator in the development and preservation of all tissues. More specifically, 2 grams of glutamine showed a 400% increase in growth hormone levels. Finally, it is a powerful anecdote for "leaky" gut, a gastrointestinal condition that causes significant discomfort among its sufferers. There is some evidence that glutamine can cure ulcers, with a reported 92% cure rate wih a 1.6 gram supplementation each day for four weeks. Since glutamine is not only an energy source for the human body, it can be widely found in other animals and plants as well. Fish, red meat, beans, and a variety of dairy products contain it. Supplementation is commonly chosen by the aforementioned athletes, and is best absorbed in a powdered form of the amino acid. There are several nutriceutical companies that offer varieties for sale to the general public. Check out GNC for your first stop at finding the products that matches your personal needs. The only side effect reported is an upset stomach. This is usually seen only in cases where large doses were taken. There is no scientific data supporting an adequate safe amount of the amino acid, but supplementing with up to 10 grams per day has been seen among bodybuilders. It is critical to discuss if supplementation is needed, and what the appropriate amount should be with your primary care physician before practicing any specific dietary alteration or regimen.